California is blooming and she is magnificent. I’m sure by now you’ve seen all the wildflowers everywhere. Spring has got to be one of my favorite seasons at all time. The other week ago, I finally got a chance to stop by and see the beautiful poppies in Lake Elsinore. It was so relaxing to be surrounded by nature with thousands of poppies. I made this one shoulder floral dress for the beginning of the spring season. What do you like most about spring? Have you seen any of the super bloom yet? It feels like it’s been years since I last wrote a blog post… as life has been crazy and I had to take a break on blogging… the past month, a few things have changed and I finally caught my breath and I feel like I actually have a chance to get back to it! 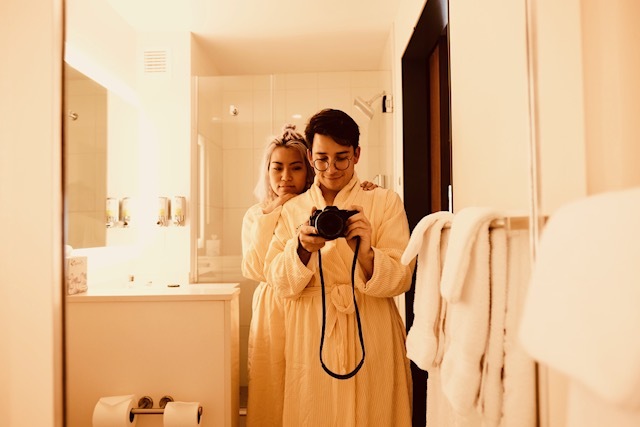 *squeals from excitement* Last week, Eddie and I went to San Diego and stayed at Hotel Z – Stay Pineapple and we absolutely loved it! It’s soo cute and it’s literally in the heart of Gaslamp! They also offer free shuttles anywhere in Downtown San Diego, Balboa Park and Little Italy. They also have bikes that you can rent! We strolled all the way down Balboa Park and visited the cute little Spanish Village. Each room is designed with pineapple – everything! But one of my ultimate faves is the afternoon delights!!! They serve little pineapple cupcakes in their lobby around 3 pm with pineapple infused water! Last weekend, my boyfriend and I stayed at Cabins4Less and we woke up to snow falling! Growing up in California, I’ve never experienced snow falling so you can probably see how excited I was that I got to dance around with my glitter tutu in the snow. After eating breakfast, we headed to the Alpine Slide Magic Mountain and went tubing! It was sooo fun and probably one of my favorite things that we did in Big Bear. We then headed to their cute little town village – Big Bear Lake Village. It was filled with cute little shops and restaurants and everything is so close to each other. For the rest of the night, we decided to to dine in and stay warm with our fire place. The next morning, we attempted to hike the Castle Rock Trail and casually failed. We ended up just having a snow ball fight and finding sliding down the hills. 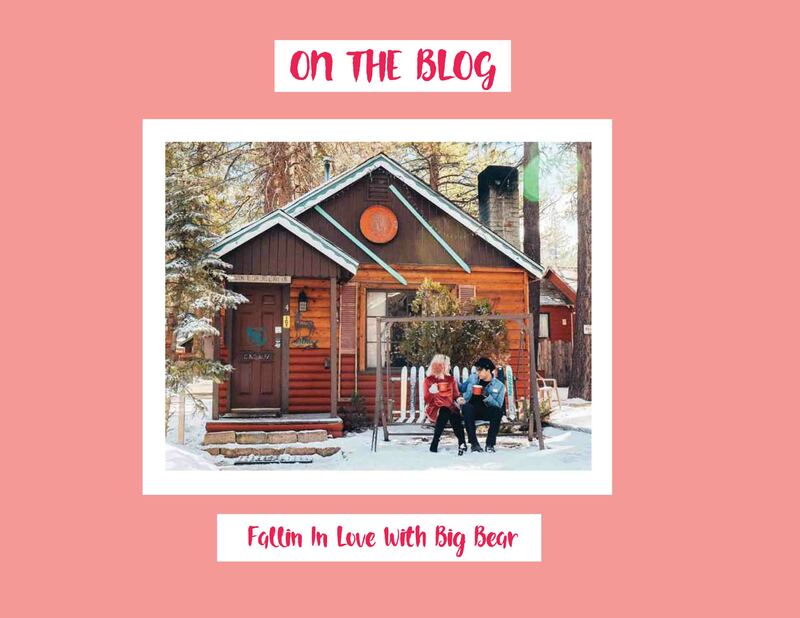 We had so much fun our Big Bear Weekend Trip that we cannot wait to go to the next one hopefully this year’s winter again later this year or next year. We also loved staying in our cute little cabin and we will probably stay here again. I could not believe that Big Bear is only 2 hours away from my house! This will definitely one of my winter get aways. Do you have any travel plans any time soon? or even mini road trips? 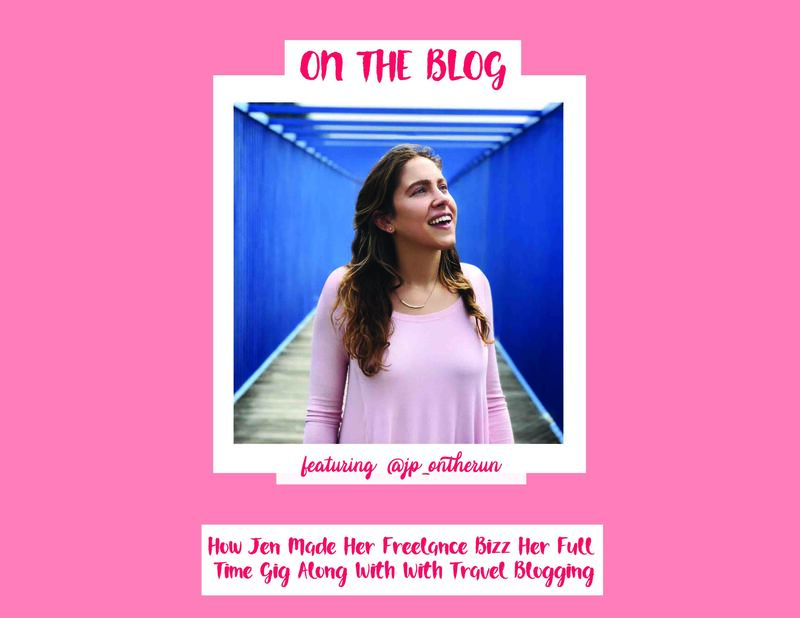 For this week’s Influencer Tips Thursday, we are learning so much from Jen & how she managed to make her freelance bizz now her full time gig along with travel blogging. She has so many insider insights, so let’s get to it! for the past 10 years. What is your brand about and what made you start it? blogging. All the tools were within my reach, so why not go for it? Do you have another job outside of being a (blogger/influencer/entrepreneur)? since blogging, social media management, and writing all involve complementary skills. blog is how I like to spend my spare time!! Is it difficult to balance your work life and passion project(s)? Surprisingly, yes. It might not look like it from the outside though, because I work from home. So many people (myself included) think that they can accomplish ANYTHING if they just didn’t have that commute, long hours at another job, or school assignments… the list goes on. The reality is that it’s just about time management. What do you love the most about being an influencer? running a blog and being an influencer is a great way to practice that. What do you think is the hardest thing about being an influencer? What are three tips you can give to someone who also wants to be an influencer like you? being perfect. That’s just the thing – everything evolves. You learn and grow. Whatever is “perfect” today will be even “more perfect” six months from now. 2. Don’t be shy. This is a tough one for me. Own it, and don’t worry about bragging. get yourself and your message out there. What are your goals and where do you see yourself a year from now? &amp; where do you hope to be in 3 – 5 years? monetize it better. Ideally in 3-5 years, I’d be in a place where I’m balancing both. Who/what inspires you or keeps you motivated to do what you do? shares their genuine thoughts on something I’ve written. That’s why I keep going. What’s your favorite app aside from instagram? What’s your next project and how can we support you? Right now I’m really working on getting my emails up running. I’d love it if you signed up for my email newsletter! I even have a couple freebies right now – an ultimate packing list for anywhere in the world and also 15 inspiring writing prompts. How important is it to you to make genuine connections/friendships through social media/in our industry & why? I think the beauty of our modern digital age is that it has opened up a lot of doors. Now, connecting is as simple as sending a DM or leaving a nice comment that might just make someone’s day. I’ve met up with other influencers I’ve met online, and really can’t believe how easy it is to just reach out, message someone, and then there you go – you have a new brunch bud. I believe everyone has something to offer, and the person next to me knows more about something that I do. Why not strike up a conversation and learn from them? What are you looking forward to the most from Influencer Girl Gang and what do you hope to acquire from joining us? I’m so happy I found the Influencer Girl Gang and I can’t wait to attend one of the meetups soon! Hope this blogpost was helpful to you and other inspiring entrepreneurs out there to pursue their passion. 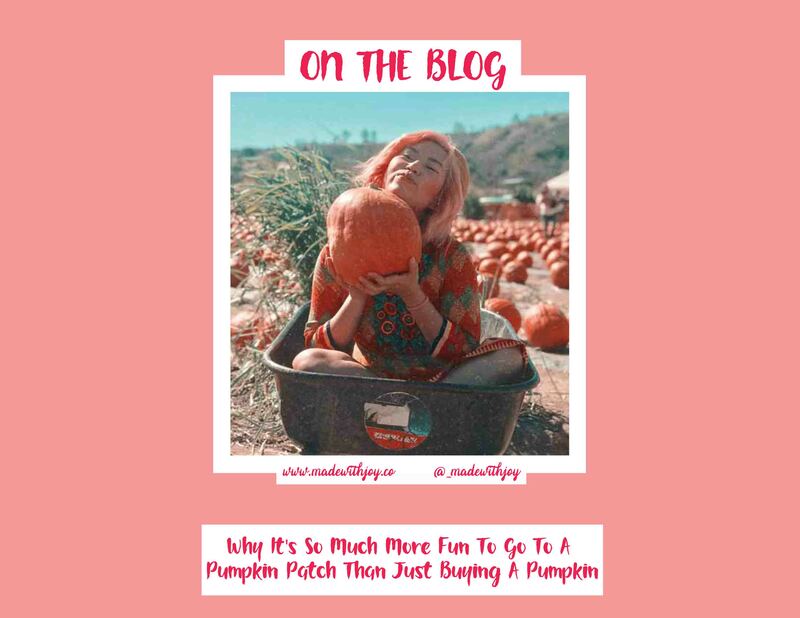 Soooooo let’s begin with I’m not from here and I wasn’t raised here in the U.S. Maybe that’s why I’ve never been in a pumpkin patch before (so don’t judge me lol) and I might’ve over done it this year as I’ve already gone twice this month! So you can just imagine the look in my face when my boyfriend brought to my first pumpkin patch earlier this month at Live Oak Canyon Pumpkin Patch. I was like “Omgggg this is better than a fair!!! There’s dogs everywhere!” I loved it so much that I also hosted the second Influencer Girl Gang Meet Up event at Tanaka Farms. But other than dogs, here’s the main reasons why I personally love going to pumpkin patches rather than just staying at home carving store bought pumpkins. It’s just a ginormous place of magical pumpkin land. Every corner is pretty much a photo opp and insta worthy. 3. UMMMMNNN. CORN MAZZZZEEEE FUN! Need to say more? 4. It’s just a fun place to be with you girl friends or your significant other! Have you gone to a pumpkin patch near you? Don’t forget to do so this year & enjoy the festivities! 1. It’s off season = not the busiest time of the year since summer just ended and winter is about to come; therefore, less crowds, less people. Yeyyy! With fewer visitors, accommodations and Airbnb is actually cheaper. 2. The BEST weather EVER! I was able to do the whole 3 mile walk around Convict Lake wearing Reebok’s Pure Move Bra and North Face Windbreaker. The average temperature ranged between 60 to 70 degrees Fahrenheit. But it wasn’t really until the sun was setting did I need my windbreaker as it got a little bit more chilly. What I love about my Reebok’s Pure Move Bra is how it’s natural shape literally feels like it’s molded for your body with free-cut edges that allow you to move freely-from the gym to a hike to a brunch with friends. The fabric almost feels like your second skin. I also love how modest this bra looks that I didn’t feel self conscious walking around without a top covering me. 3. MAJESTIC VIEWS AND FALL HEAVEN!!! – I mean where else can you find this view? Like how is this even real? I honestly lost it and just fell in love. As I walk around Convict Lake, I cant help but marvel at the sight of golden Aspen leaves everywhere. It almost looks like real gold when the sun hits the leaves. And seeing all of the trees together with different colors was truly a stunning sight to see! 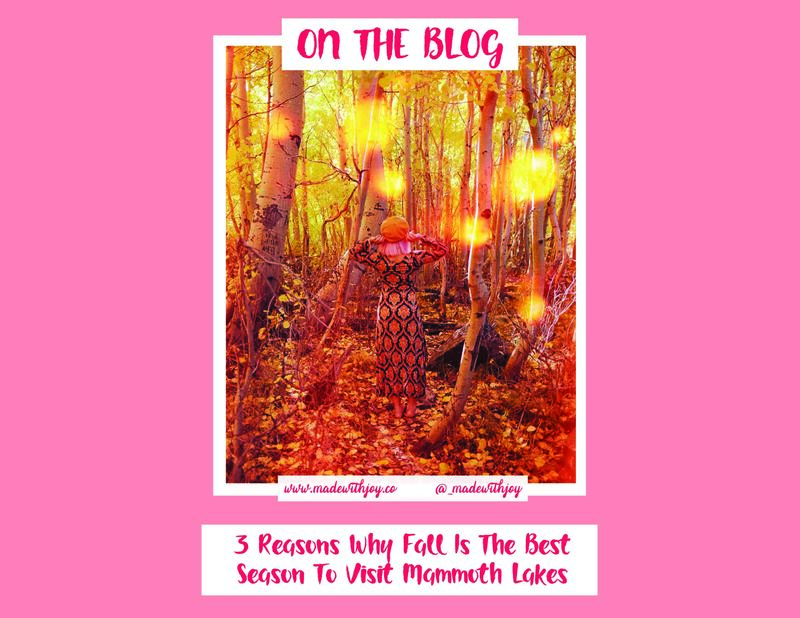 I hope you find your way to squeeze in some time to go to Mammoth Lakes soon before winter starts. It’s a lot more amazing in person, I promise! Happy Fall! 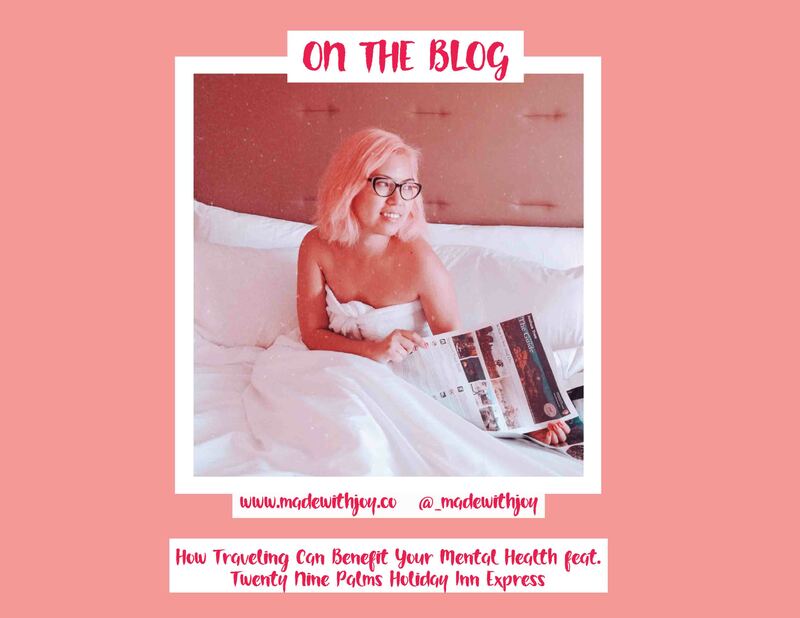 Did you know that traveling can be a huge benefit for your mental health? And due to today’s Mental Health Awareness Day, I wanted to write a blog post dedicated to how travel can actually benefit your mental health. What is mental health? It includes our emotional, psychological, and social well-being. It affects how we think, feel, and act. It also helps how we determine how to handle stress, relate to others and make everyday choices. Today marks the start of mental health day. Sometimes the little things really do matter like helping a stranger, sharing a cup of coffee or simply having a chat can dramatically change a person’s day. I don’t claim to be an expert but I do know that sometimes listening is important so listen up, talk more, take a break and support each other. Also, take a vacation, a change of scenery or even just a few hours down the road can magically improve your mental health. A lot of people normally ask me, as a designer – how do you manage to travel so much or go on many road trips on weekends? My answer is always because I absolutely need it. I’ve made traveling and adventuring become a part of my lifestyle because I truly believe that it heals me & it helps me keep my sanity & gives me that small break that I need. So here’s other few reasons why traveling is good for you. It’s another form of stress relief except more fun – Traveling helps us take a break from our constant boring routine from our day to day lives. It helps us escape our responsibilities for a bit and our worries! Excitement and happiness is boosted before you travel – Have you ever noticed how happy and excited you are right before your trip? Yes, that alone is healing to your body and mind. When we get so pumped about how much fun you’re going to have in your trip, that’s when you’re the happiest and when you’re actually doing what you had planned to do. It enhances your creativity – Have you noticed that most artists, designers, writers get their inspiration from a place or their latest trip or vacation? Maybe it’s because when our mind is at rest – that’s when we learn and soak in as much knowledge and inspiration the most. Plus, seeing/experiencing things you’ve never done before is always a great tool how to see things in a different light. It makes or break your relationships – Traveling helps you learn how you react with certain situations – it helps you as a person and how you adapt to certain unexpected scenarios and it also helps you learn what you can and cannot tolerate from another person. When put in a foreign country/place and you have a traveling buddy, it either strengthens your relationship or breaks it. Either way, it teaches you a lesson. It’s just so much fun – When you feel happy, your brain is happy. You get to experience life and things you’ve never done or seen before and because of this you’re constantly adapting and becoming the person you’re meant to be. Last weekend, my boyfriend and I stayed at Twenty Nine Palms Holiday Inn Express, which is situated along Highway 62 and provides easy access to area attractions. The hotel is located three miles from the Oasis Visitor Center and seven miles from Joshua Tree National Park. This suite is pretty spacious and is perfect for busy bee business travelers. It has two TVs, a small kitchen with a sink, microwave, a fridge and coffee maker! We were surprised and happy to have all these features as we ended up using them more than we intended to. Also, there’s a free breakfast from 7 – 10 AM that has many options. They even had pancakes! There is much to see and do in 29Palms. The hotel is seven miles from Joshua Tree National Park where you can hike, mountain bike, climb and more. If you know me, you probably notice that I’m in Joshua tree almost every other month. 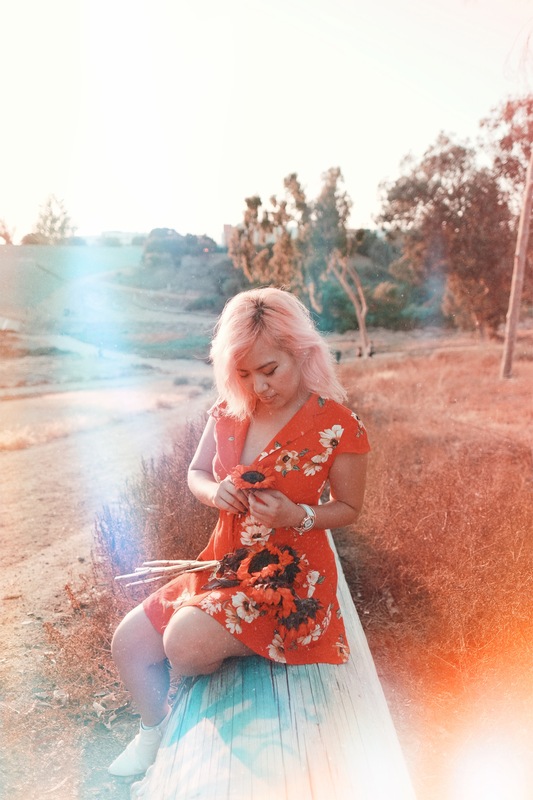 It’s honestly my favorite place to have photoshoots in, hike, de-stress (they have the most beautiful sunsets and if you’re lucky, you even get to see meteor showers) & they also have vintage thrift shops almost around every corner! Thank you so much Twenty Nine Palms Holiday Inn Express for having us! We had a great stay for the weekend. A few of the questions people ask me are: how do you create content? how do you know what people like? or what will attract more followers? So for today’s segment of thursday’s influencer tips & tricks, I wanted to share all the answers to those questions. What is your niche? Have you found it yet? If not, it’s time to define it. Who is your target market & why? Are you willing to put in work and time to create brand new content all the time? What is your blog about? 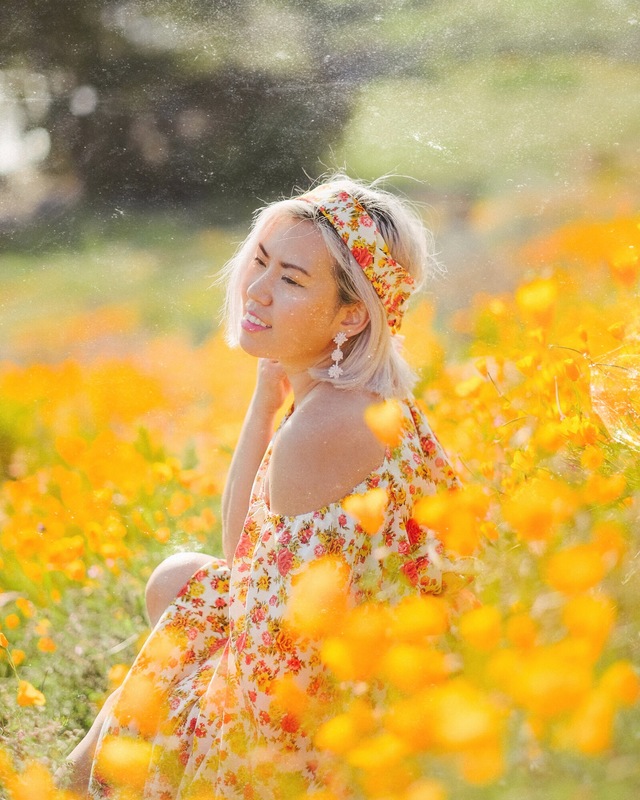 Made With Joy is a fashion, lifestyle + adventure blog who features the latest fashion trends, travel destinations and insider influencer tips and tricks. What is your niche? Have you found it yet? If not, it’s time to define it. My niche are millennials who love fashion, traveling and who just wants to live their best life. They like going to festivals, wine tasting, the newest adventure around the corner or going to road trips. They are very artsy and creative and love life and adventuring. They’re always looking for the next thing to do with their girl squad or with their significant other. Who is your target market & why? My target market are females between ages 21 – 35 who wants to live their best life and are tired of their 9-5 job, that just wants to escape and create the most out everything. And I am here to teach them how they can achieve that and how it is possible to live that kind of lifestyle. Why do you do what you do? I do what I do because I love girl power + female empowerment and how important it is to pursue our passion + also live our dreams out loud at the same time. I am here to inspire others that it’s possible and I may not be where I want to be yet but I’m on my way there. Are you willing to put in work and time to create brand new content all the time? Yes, absolutely. Now your turn! After you answered all those questions. It’s now time to jot down your plan of action. Let’s get to it. Scheduling is key. What does your busy schedule look like? Are you super swamped that you don’t even have time to create anymore? Or be inspired? So get to scheduling. Schedule some “alone or me time” in your week. Then schedule your create content time, and your editing time and your having fun time and your family and friends time. Do what’s best for you and what will make you happy. Start saying “NO” and mean it. Do you even sleep? And eat? Do you take care of your body? Your mental and emotional health? I’m here to remind you that an unhealthy body/mind is useless when it comes to creating. If you’re physically, emotionally, and mentally drained – how do you think you’ll have the time and energy to create? Maybe it’s time for you to start saying “no” to partying every friday night with your girls or brunch every sunday. I’m not saying to give up on your social life but definitely be smart about it and who you’re spending your time with and why. Make creating content a part of your lifestyle. 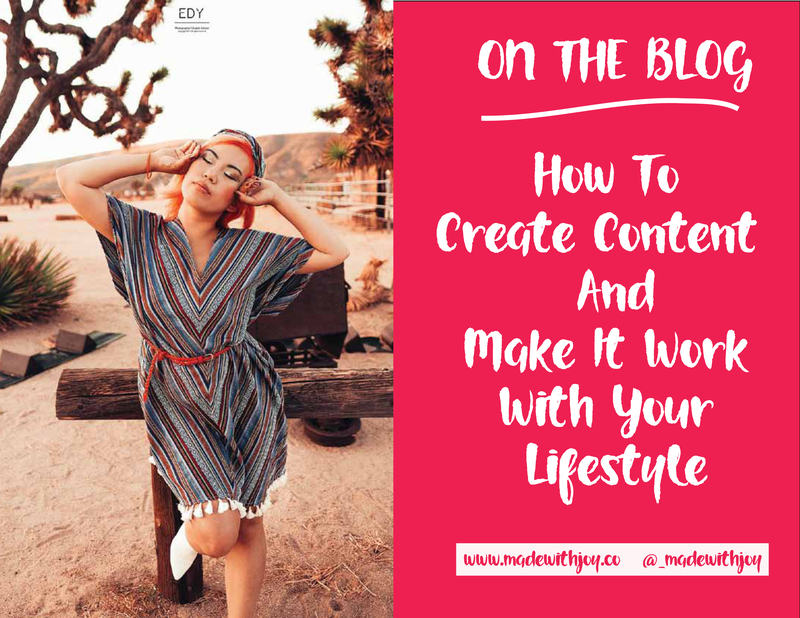 Once you have done those first two tips – it’s now time to look in your planner/calendar and start making creating content a part of your lifestyle. You almost have to live and breathe it. Always carry your camera with you or your phone. For example, I went to Vegas last weekend for my grandma’s 80th bday and while I was there I got to shoot for a beauty brand and a partnership with a hotel. Although, I still spent a lot of time with my family, I squeezed in a few photoshoot sessions (which by now my family has been very supportive of me and understanding) I used to be embarrassed when I was first starting but now it just comes naturally to me. I don’t even have second thoughts. I just do it. It’s all about changing your mindset, rewiring and training your brain and making it happen. Be organized, resourceful and be bold. Jot down all your ideas and find a way to squeeze them in your everyday life. Be intentional about it. Are you a food blogger? Start making your portfolio and visit a few restaurants + cafes. Once you have enough content, maybe you can now start pitching. Are you a fashion influencer? Every time you go to an event that you have to dress up or just simply look pretty, wear a fabulous outfit and ask your friends or even strangers to take photos of you! (I’ve honestly done this and it paid off. The first time I visited NYC, I woke up early to adventure on my own and it started snowing!!! I have never seen snow fall from the sky before and I totally asked a stranger to take a video of me twirling!) Was I embarrassed? Not really. I hesitated at first but I did it anyways as I’m never going to see him again. Get out of your comfort zone. Are you an introvert who’s afraid of what people will say or think about you? Let go of that mindset and do something new. Take risks. Talk to strangers. Ask for help. Until not caring so much of what other people think of you no longer bothers you. As an influencer, it is very important for us to try something new in order for us to influence others. Are you an extrovert who’s the life of the party and cant seem to get it together? You have so many ideas but you can never find time to make them happen. (This is me) So here’s my tip! Find your quiet place (whether you set some time aside like waking up an extra hour to plan your day or a beach day once a week) and write down your goals, ideas and plans and make them happen. Do the first 4 steps above and once you’ve done those – make things happen! Stop just talking about it and actually put in the work. Was this helpful? Let me know your thoughts and drop a comment below. I’ve spent the past two weeks in Sin City and I’ve spent them there very differently. Two weeks ago, I went there for my boyfriend’s birthday and we did the whole day club + night clubs + restaurants. For Labor Day weekend, my whole family and I went there for my grandma’s 80th birthday & boy, was it a different experience! And I ain’t even mad about it! See a concert or a show & buy them ahead of time. We went to see Air Supply, my grandparents’ favorite band. The tickets were about $39.99 each and we actually got pretty good seats. Buying tickets at least a few months beforehand is always a great tip to get them in a good price. I surprisingly enjoyed the show and knew a few of their songs. 2. Go swimming in your hotel’s pool. It’s part of the resort fee that you already paid for; so take advantage of it. 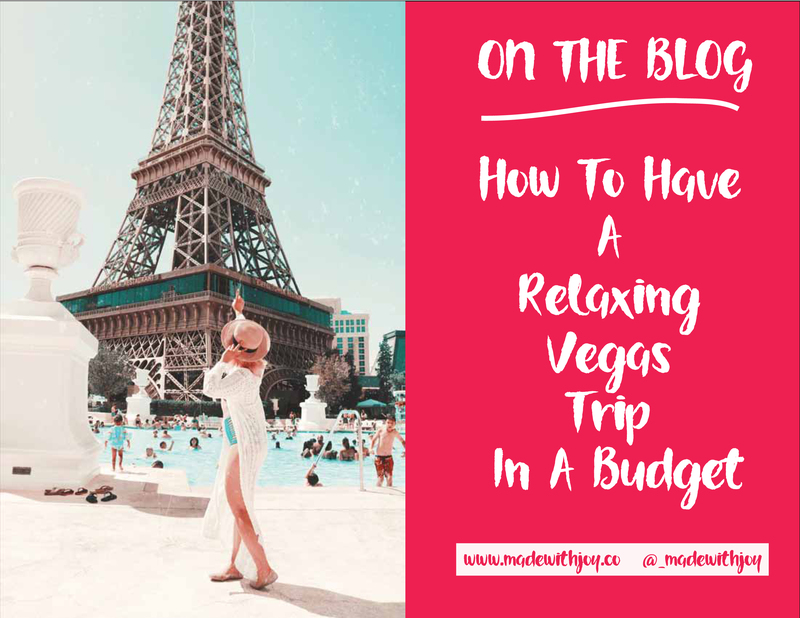 We stayed in Bally’s but since it’s part of the Caesar’s Entertainment Hotels, we can hop around and we decided to go to Paris Las Vegas swimming pool. I absolutely loved the view and it wasn’t too crowded like the day clubs! 3. Purchase a 24 hour buffet wristband through Caesars Las Vegas Buffets. How it works is instead of paying $25 – $40 each buffet per person, you pay $50 – $70 once and you can pretty much “buffet hop” and eat literally as much as you can (we were there on a holiday weekend, so we had to pay more). My top two favorite buffets are: Le Village Buffet & Carnival World Buffet I’ve never been to Paris but the buffet dining is in a French village with traditional meals from France. I also love Rio’s iconic buffet as it has hundred of global items plus the impressive array of seafood, my fave! After going swimming and hopping around at buffets, I took a hot shower and put on Alya Skin. This pink clay mask is my new obsession. It left my skin feeling like it was made out of roses and it cleared my pores & took out all the nasties from my skin. 5. Go hotel hopping & appreciate art. Not sure if you’ve ever done this but Las Vegas Hotels are pretty much like museums! I wish I had more time to actually see more but I didn’t have much time as I was too busy eating! Last Sunday, I went to Clairmont Farmers’ Market for the first time and I fell in love with how dainty this little city is and how lovely everyone is in the market place. The first thing I saw was the little sunflower shop (which if you didn’t know, I’m obsessed with sunflowers – I’m led to believe that they are my favorite flowers, I once drove across the state just to see them bloom – yet once I got there, they were dead) Anyways, these sunflowers were painted and colorful!!! I was sooooo in love! I also fell in love with my new watch from Rove Watch. I am obsessed with their Bella White Watch, as it is light, delicate and even more gorgeous in person. I love the white strap as it goes with mostly everything and the gold finishing. I plan to take this watch with me every where I go especially to my next travel destinations. After going through the farmers’ market, my boyfriend took me to Petals N’ Wings. They have the cutest garden filled with succulents, cactuses and garden accessories. Every corner was insta worthy or another cute plant ready to inspire you and make you smile. They have these little gardens that tell stories within their own!!! And they also sell swings, chairs, tables and more garden accessories. What do you think about this nursery? Did you fall in love with it as much as I did? I also plan to do more some travel blogs and start locally like this one. Penny for your thoughts?